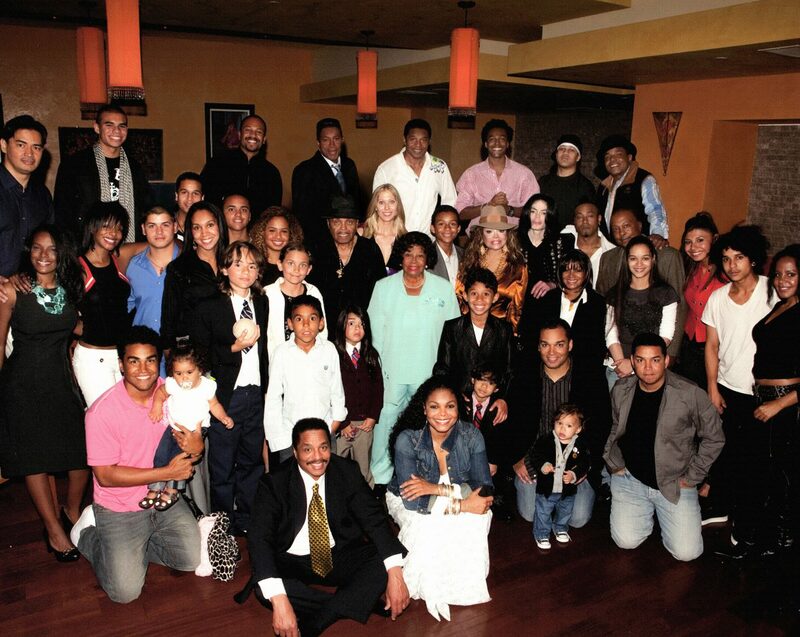 Michael hosts a family meeting at Hayvenhurst to open the « Memory Room » with family pictures and history. Janet attends the Princess Grace Foundation Gala + a party organised by Essence Magazine in honour of her mother Katherine Jackson. Michael & LaToya visit actress Joan Collins on the set of prime time soap opera Dynasty. Michael becomes close friend to actress Elizabeth Taylor. January 15-23 : Michael, Lionel Richie & Quincy Jones record a demo version of the song “We Are The World” at Lion’s Shario Studio in L.A (Michael takes Emmanuel Lewis to the studio) and they send the demo cassettes to all artistes involved in the recording. January 26 : In Fame’s new episode “The Heart Of Rock N Roll II”, Janet/Cleo performs a rendition of Jackson 5 hit “I Want You Back”. January 28 : Janet attends the American Music Awards with James & LaToya. 2 hours after the ceremony, Michael and 44 other artists (including Diana Ross, Stevie Wonder, Ray Charles, LaToya, Jackie, Marlon & Randy) gather secretly for 10 hours at the A&M Recording Studios in L.A to record “We Are The World”. February 2 : Janet is a guest star on a two part episode of ABS series “Love Boat”. She plays the character Della. The episodes were shot on location in Scandinavia & Russia. February 14 : At Hayvenhurst, Michael helps with the delivery of a baby deer born to his pet deers Prince & Princess. The birth of valentino is videotaped. February 23 : Michael appears on the cover of TV Guide for the first time. February 26 : Michael wins in the category Best Video Album for The Making Of Thriller at the Grammy Awards but he does not attend the presentation. March : Janet leaves Fame & she decides to annul her marriage to James DeBarge who suffers from drug addiction. She goes back to Hayvenhurst and suffers depression. Rebbie accepts two awards on behalf of Michael at the 3rd annual American Video Awards. Michael is on the cover of Rock & Soul, Beatbox, Look In and Right On! magazines. March 7 : “We Are The World” is released and soon becomes a worldwide anthem. March 26 : Michael arrives in London. March 27 : Michael attends the futuristic musical “Starlight Express” in London and meets the cast backstage. March 28 : Janet attends the premiere of “The Last Dragon”. Michael attends the unveiling of his wax statue at Madame Tissaud’s waw museum in London. 8000 fans gather to get a glimpse of their hero. March 29 : Michael attends an evening reception and party in his honour in London where CBS Records present him with an 8X Platinum wall-mounted plaque. We Are The World: The Video Event is released on VHS. April : Michael and seven members of USA For Africa are on the cover of Life Magazine. Michael and Elizabeth Taylor attend Liza Minelli’s “Comeback” tour. April 1 : Michael flies back home. April 8 : Michael and Lionel Richie are on the cover of Jet Magazine. May 25 : In Fame’s season 4 finale, Janet/Cleo performs “Dream Street”. This is Janet first ever promotional music video and also her last appearance on the show. June : Michael records 2 new songs for an upcoming 3D science fiction musical short film named Captain EO to be shown exclusively at Disneyland and Disney World. Francis Ford Coppola will direct and George Lucas will produce the film. Summer : Janet leaves the Jeovah’s Witnesses. Pushed by John Mac Lain, she makes a diet and takes singing and dancing classes. Mac Lain asks producers Terry Lewis & Jimmy Jam to produce Janet next album and they accept. July/August : Michael films “Captain EO” in Los Angeles. Elizabeth Taylor visits him on the set. He meets Dennis Tomkins and Michael Bush who will become his costume designers until the end of his life. July 30 : Michael severely sprains his right hand during the filming of Captain EO. He is treated at the Brotman Memorial Hospital. August : Janet is on the cover of Essence magazine. “Eaten Alive” by Diana Ross is released. The single is co-written by Michael and Barry and Maurice Gibb from the Bee Gees. After 10 months of negociations, Michael purchases the ATV Music catalogue from Australian multi mullionaire Robert Holmes for 47.5 million dollars. For their help in negociating, Michael rewards attorney John Branca and manager Frank Dileo each with a Rolls Royce. August-October : Janet goes to Minneapolis with her friend Melanie to record her new album with Terry Lewis & Jimmy Jam at the Flyte Tyme Studio. October 21 : Michael visits the Cohuna Wildfire Sanctuary in Perth, Australia. October 27 : Janet supports LaToya by performing background vocals on her song “Baby Sister” during a live performance at the 16th annual World Popular Song Festival in Japan. “Baby Sister is the 1st single from LaToya’s ‘s 4th studio album “Imagination” released in 1986. November : Janet goes to Canyon Ranch with Paula Abdul to exercice and slim down. December : Janet shoots the video for “What Have You Done For Me Lately” directed by Brian Jones and Piers Ashworth and choreographed by Paula Abdul. 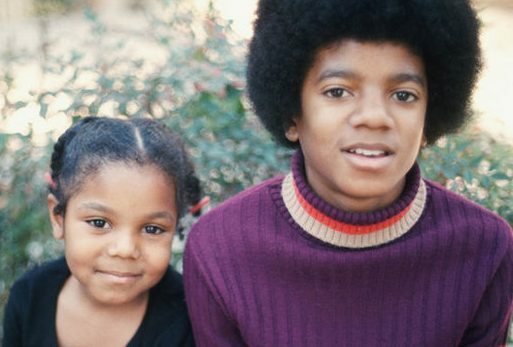 The video also features Tina Landon who will eventually becomes Janet’s best friend and choreographer for years.